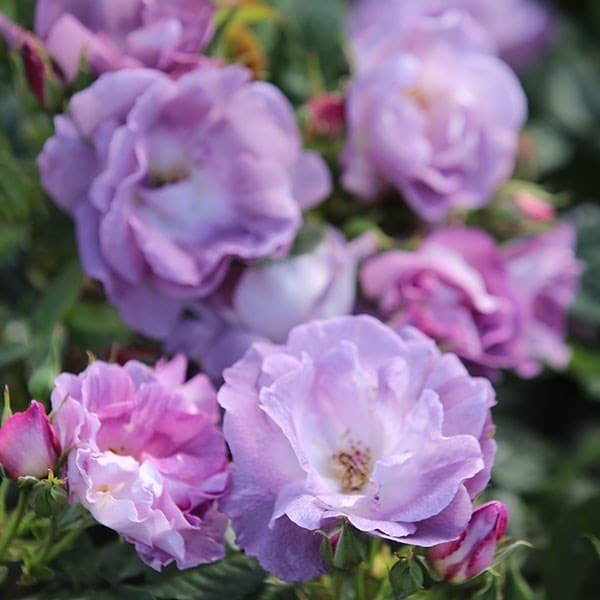 The ruffled petals of this semi-double floribunda are initially lilac with a blush white base, but as the flowers mature, the petals turn bluer and the boss of golden stamens they surround becomes more prominent. 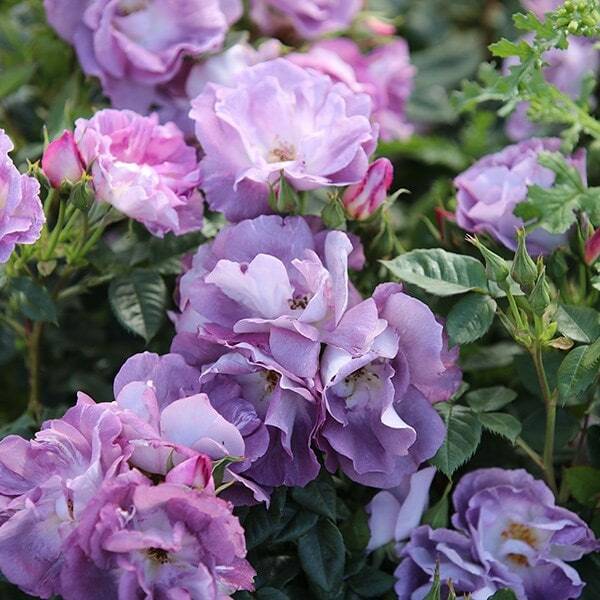 The flowers appear in flushes throughout the season on stems that are clothed in rich green foliage. Excellent for informal hedging and mixed borders.